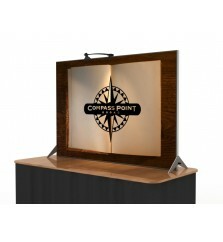 Custom Modular Table Top Displays	There are	10 products. 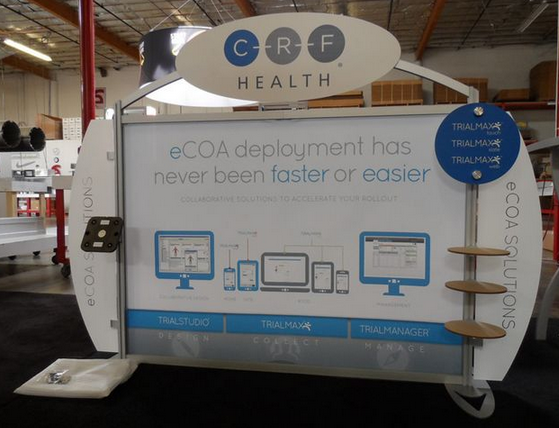 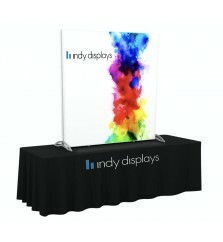 Custom Modular Table Top Displays are the perfect way to get the most out of exhibiting on a 6' or 8' table. 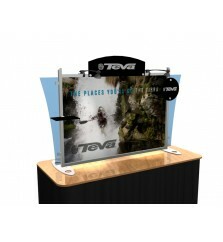 We offer a large selection of custom modular table top displays that include Sacagawea Displays, Perfect 10 Table Top Displays, Exhibitline Table Top Displays, and XVline Table Top Displays. 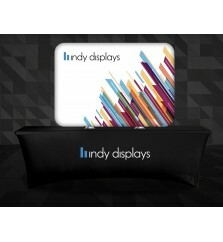 In addition to our ready-to-ship tabletop display kits, we can customize each tabletop package to create the perfect unique SEG fabric table top display solution. 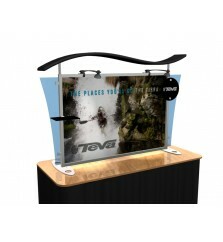 Display booth accessory options include universal fit monitor mounts (hold up to 27" LED flat screen), laminate or aluminum shelving, iPad tablet attachment mounts, unique literature holders, custom shape logo headers and printed accent display wings and much more! 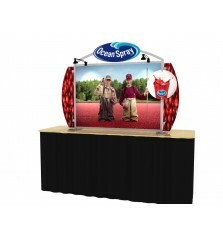 Sacagawea Table Top Displays are attractive and affordable portable hybrid custom modular table top displays. 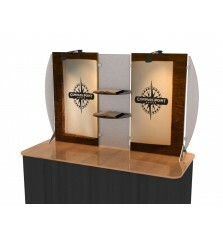 Sacagawea Displays assemble in 15 to 20 minutes without tools, pack into a portable roto-molded or canvas case, and come with two standard LED trade show lights. 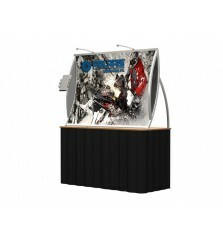 Perfect 10 Table Top Displays bring a sophistication that you’ll not see in traditional pop up table top displays or any type of flat panel table top system. 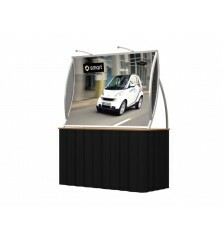 The seamless and wrinkle-free dye sublimation fabric mural graphic mounts easily to the high quality and painless to assemble aluminum frame which comes in 7 different powder coated color options, 9 sintra in-fills color options, and two halogen lights. 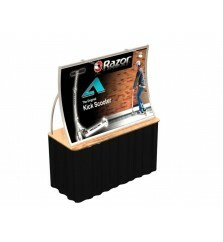 Like the Sacagawea, the Perfect 10 packs neatly in its' own roto-molded shipping case with wheels.